A Harbour Town ceremony overlooking the water followed by a horse drawn carriage: For Katie and Matt Launspach, it was their perfect Hilton Head Island fairytale wedding. The couple’s first met in New York City, at a party thrown by their company. At the time, she was working in the New York office, while he was based in Chicago. The two became friends, eventually starting a long-distance romance. It wasn’t long before the two realized things were getting serious. HILTON HEAD IS A BEAUTIFUL LOCATION, AND IT WAS A GREAT PLACE TO HAVE ALL OF OUR FAMILY AND FRIENDS COME. Matt proposed to Katie in 2016, and four months later she was living in Chicago. While it was nice to finally be living in the same city, they still were miles from their wedding destination. That made finding the perfect wedding planner key, Katie said. For them, that turned out to be wedding pro Beth Baldwin. 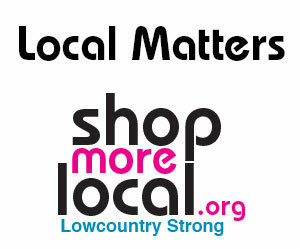 “My mom was incredibly helpful because she lives in Hilton Head. She coordinated with Beth and kept us in the loop,” Katie said. From the beginning, the couple knew they needed to pin down three important aspects of their big day: the venue, the band and the photographer. Once those elements were in place, the rest would come together. And it did. For example: Finding the perfect wedding dress. She also found inspiration for the bridesmaids’ dresses while at other weddings. After the ceremony on the 18th hole of Harbour Town Golf Links, the party moved indoors for a reception at Harbour Town Yacht Club. Guests ate, drank and danced the night away. The evening came to a close with a fairytale horse-drawn carriage exit — the perfect finishing touch, Katie said. Katie said brides-to-be should think long and hard about what they want their weddings to be, and to ask for help when it comes to figuring out how to make it all happen — and how to make it all happen within their budgets.